Skinny Green Tea, from the plant camellia sinensis (the plant all tea comes from), has been used for centuries to treat a variety of conditions and ailments, and has been shown to reduce appetite. Green tea is blended with Zychrome (a specific chromium complex that assists in regulating the blood sugar levels in the body) and Cardiaslim, that has been shown to promote weight loss, reduce waist and hip measurements and increase the metabolism of fat. 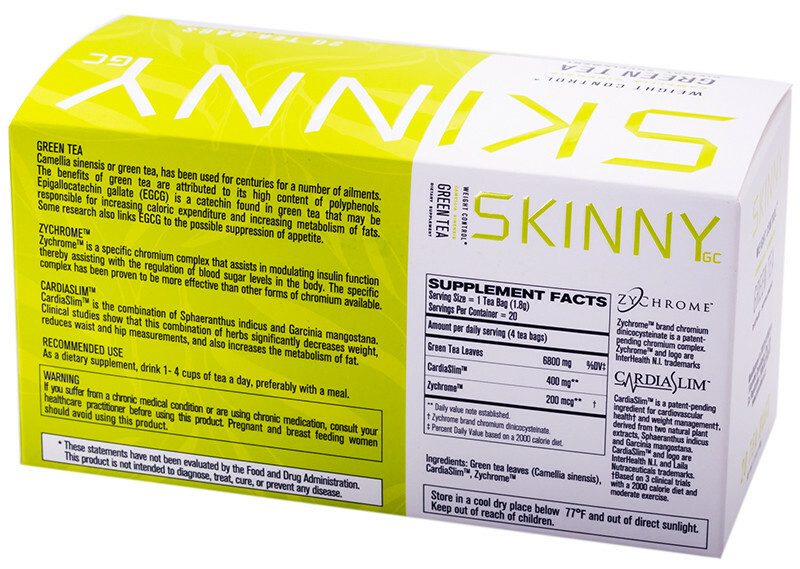 WARNING: Do not drink Skinny if you are pregnant or breastfeeding. 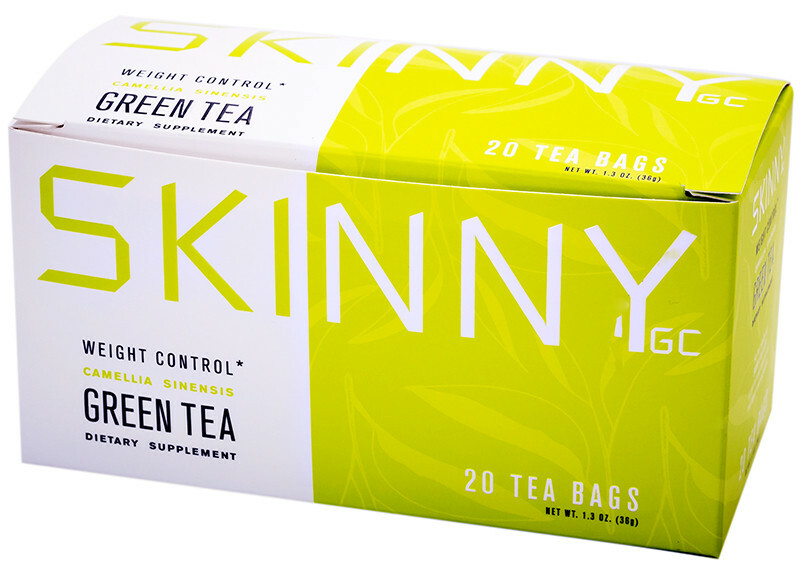 If you are on medication please check with your physician before drinking our Skinny Green Tea. Not sure about the skinny part but it's good green tea!